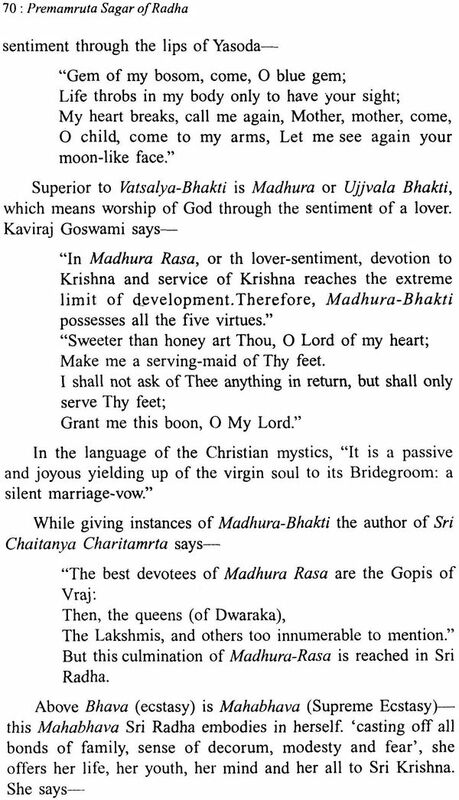 Among the various modes of worship of God, Madhura Bhava Bhakti i.e. 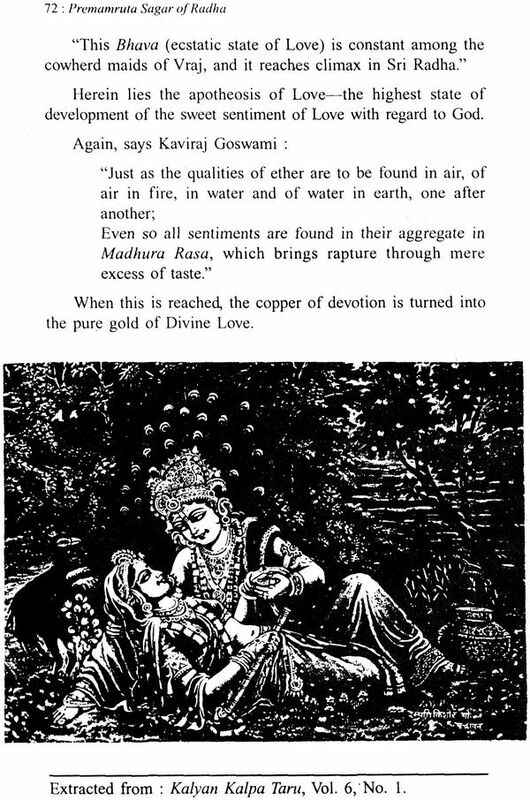 worship through amourous sentiment- treating God as one's lover or real husband- is considered to be the highest kind of worship. This compilation is focused on the unique tradition of Madhura Bhava Bhakti in India. 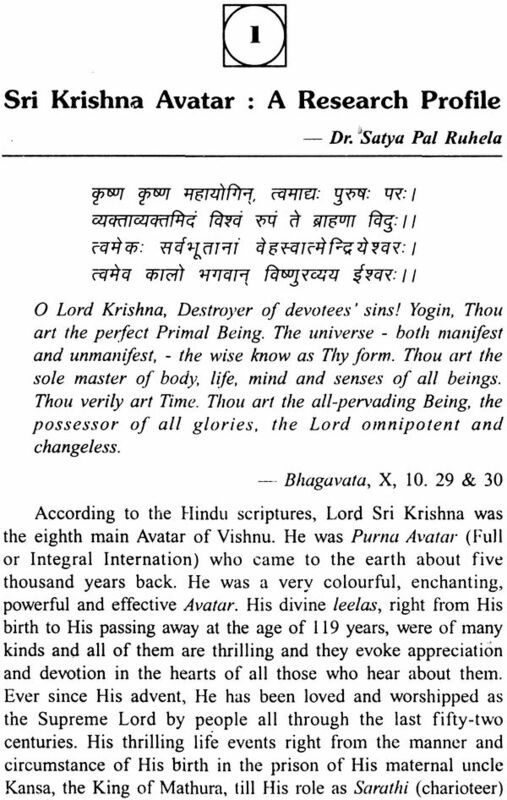 Lord Sri Krishna was the Avatar of Love. Sri Radha, Sri Krishna's Hladini Shakti, worshipped him as her Divine Lover in the Supreme Madhura Bhava Bhakti. 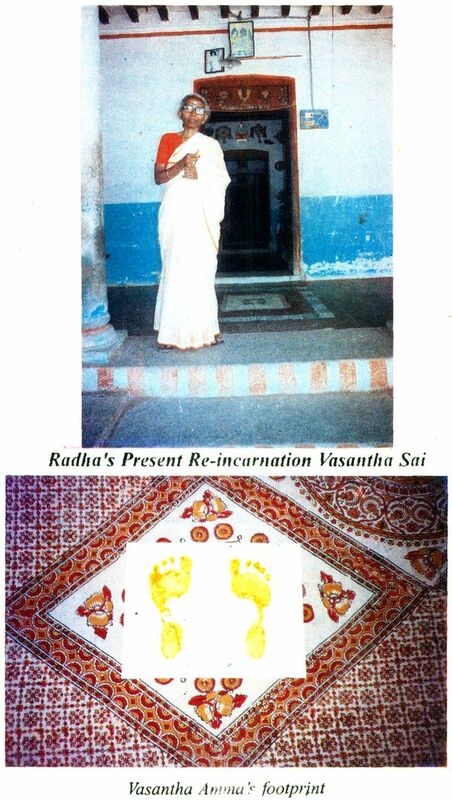 This unique tradition has since then been carried forward by Andala, Mirabai, Chaitanya Mahaprabu and now by Vasantha Sai who is Sri Radha's present reincarnation and worships her Sai Krishna Sri Sathya Sai Baba of Puttaparthi-as her Divine Lover and spiritual Master. He is an internationally renowned sociological educationist and spiritualist specializing in the currently popular Sai Baba phenomenon. He has contributed more than 30 books on Sri Shirdi Sai Baba, Sri Sathya Sai Baba and Lord Krishna, besides many other books on Spirituality, Value Education, Sociology, Education and Futurology of Education. His most recent Books are The World That God Desires (2001). The Sai Trinity (2000), Sri Sathya Sai Spiritual Revolution (2000), Futurology of Education; The India Context (2000) and Sri Shirdi Sai Baba: The Unique Prophet of Integration (2000). He has concised and edited Yogi M.K. Spencer's great spiritual work how found God (2001). 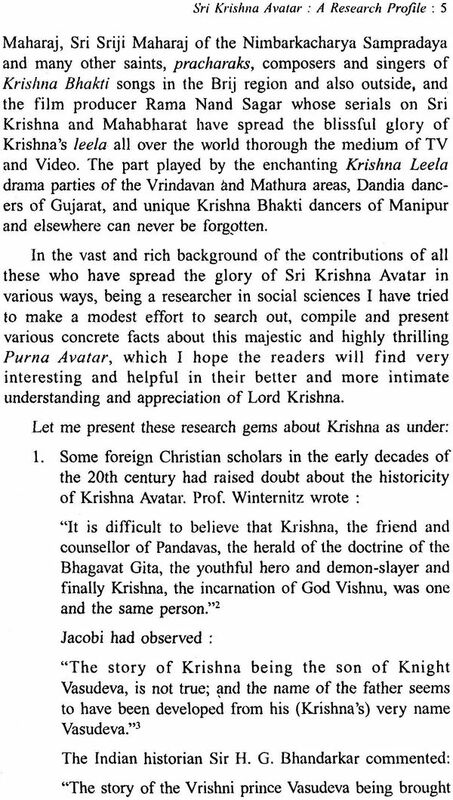 He is the founder and Honorary Secretary of Sai Divine Research Centre. 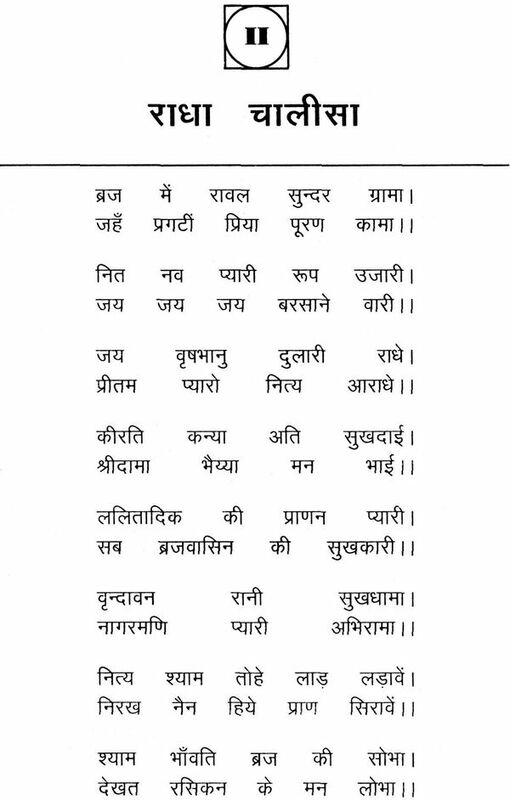 "Both that which is Radha and that which is Sri Krishna are the one vast ocean of Rasa which, for the purposes of. play, has expressed itself in two forms as light and shade. "It is for ever an undoubted fact that the soul of Sri Radha is Sri Krishna and the soul of Sri Krishna is Sri Radha. "That which is Krishna is, at the same time, Radha too, and that which is Radha is also Krishna. 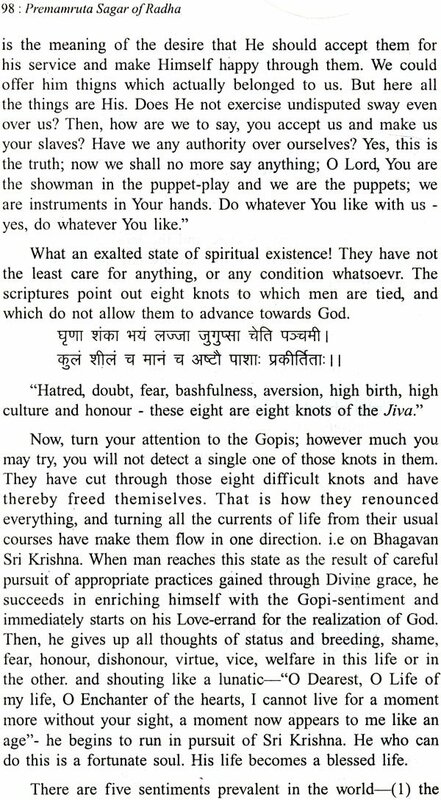 One who does not realise them as the two inseparable aspects of the One Divine has no chance of being liberated from the cycle of birth and death." "One Supreme Light has expressed itself in two forms, the one is Radha and the other, Madhava (Sri Krishna)." "In reality, it is for the sake of the 'Bliss Enrapturing Energy' (Hladini Shakti) that the Lord manifests Himself through various Divine Sportive Forms (Leela Vigraha). Sri Radha, who is Divine Love personified, is a concrete image of that spirit of ecstatic rapture of the Lord; in that form all the different aspects of love are united and consolidated. Therefore, Sri Radha is All-Love, and Bhagavan Sri Krishna is all Bliss ... 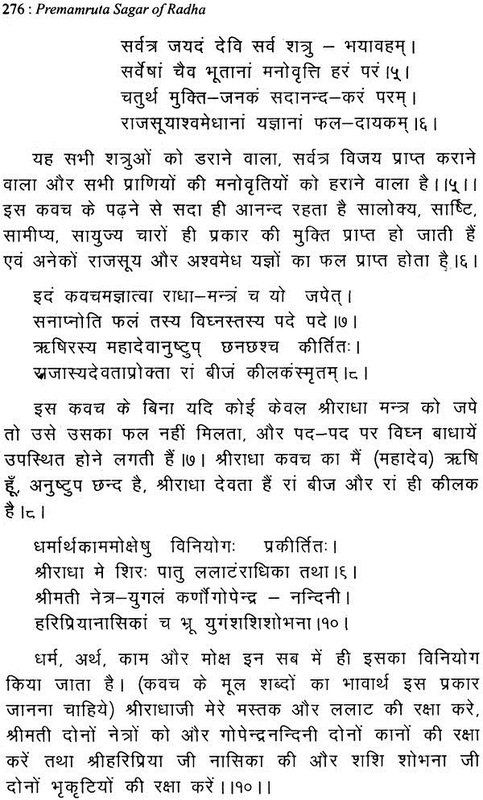 Therefore, separation of Sri Radha and Sri Krishna is never possible. Neither can remain without the other. The divine and bliss form of Sri Krishna exists for the sake of Sri Radha, who is Divine Love persoified." The same Lord Krishna has now reincarnated as Bhagavan Sri Sathya Sai Baba of Puttaparthi village in Andhra Pradesh. He has declared that He is the reincarnation of Lord Krishna, also and the combined incarnation of Shiva and Shakti. Billions of His devotees spread all over the world firmly believe in His claims as these. Countless devotees are worshipping Him in various forms of devotion, and some of them are doing so in the Madhura Bhava Bhakti of Radha, and He is reciprocating their love by showering His divine mysterious graces through miracles, guidance, help, peace and joy in their lives. Among such blessed devotees having Madhura Bhava Bhakti is a 63 year old Sai devotee Mrs. Vasantha Manoharan of Vadakkampatti village in Madurai District of Tamil Nadu State. She has been worshiping her beloved Sai for the last 36 years. 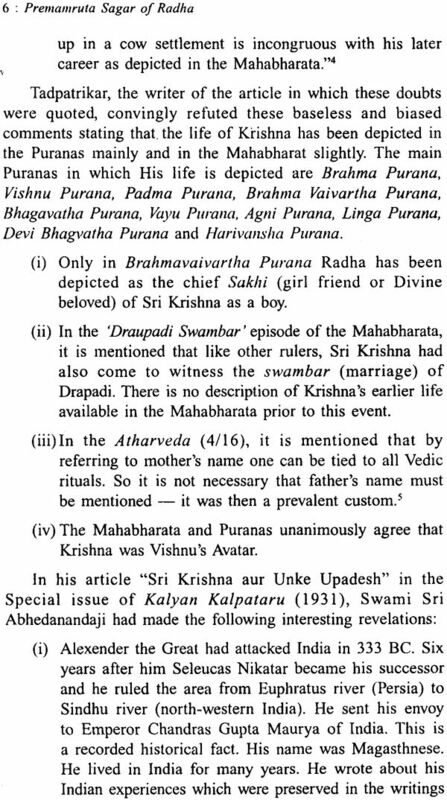 According to her own statement, Sri Sathya Sai Baba Himself had told her in mediation that she only was Radha when He was Krishna about five thousand two hundred years back in the Dwapar yuga. This thrilling revelation matches with Sri Sathya Sai Baba's revelation to an Australian Sai lady devotee Mrs. S.M. Shuley, now living in Kadugodi (Bangalore) who has under the surname of 'Little Heart' written a thrilling book "Divine Graciousness" (1991), that she had been Radha's younger brother Sridama when Sri Sathya Sai was Lord Krishna and all those three used to play and eat together in Vrindavan. 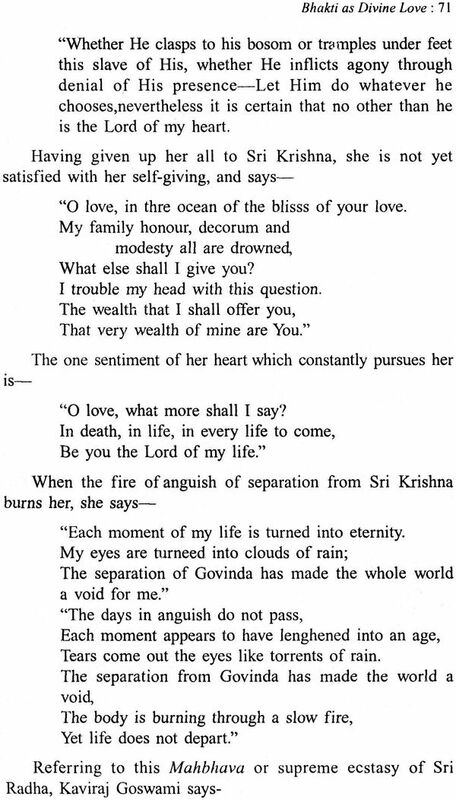 Sri Sathya Sai Baba made this unique thrilling revelation to her in several visions of Radha and herself as Radha's younger brother Shridama. Sai devotees all over the world are already in know of this thrilling revelation mentioned in her well-known book. The fact that Mrs. Vasantha Sai, a unique devotee of Lord Sai, who is a resident of Vadakkamapatti village in Tamil Nadu, is indeed the very reincarnation of Sri Radha- Lord Krishna's divine beloved, has recently been confirmed by the ancient Naadis (palm leaf records) of ancient Rishis like Agasthyar (Agasthya), Suka, Koushik and Kakbhushundi. Two well-wishers and devotees of Vasantha Sai Sri C. Krishna Moorthi, B.E., Deputy Executive Engineer, 2-202 A, 4th Cross, 3rd Road, Anaatapur, Pin Code 515 004, and Sri K.S. Venkataramana, 8A/ 9A, Pacherisikara, 4th Street, Opposite Dinmana Talkies, Madurai, Pin Code 625 009, have discovered rare details about the past, present and future of this blessed Sai devotee. 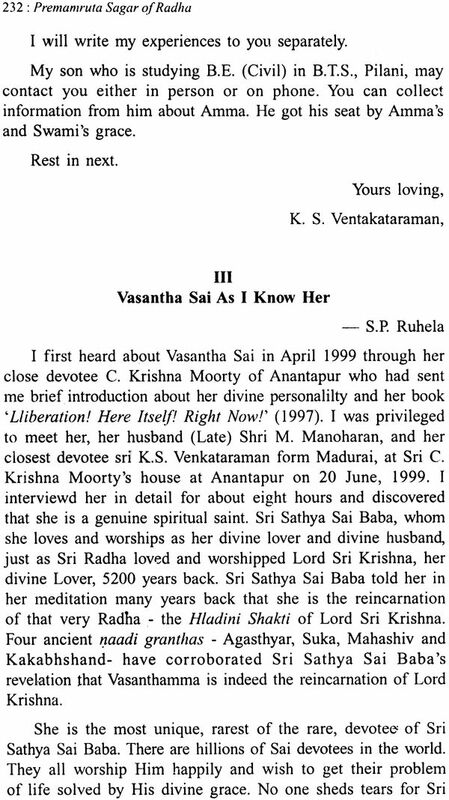 I had personally received the letters of both these devotees and Mrs. Vasatha Sai mentioning these Naadi revelations and their own experiences of Sui Baba's matchless loving grace on her, in the months of April and May, 1999. The naadi readings notebooks written by the concerned naadi readers as such were also shown to me by them on June 20, 1999. In April 1999, I had received the book "LIBERATION' HERE ITSELF! RIGHT NOW!" 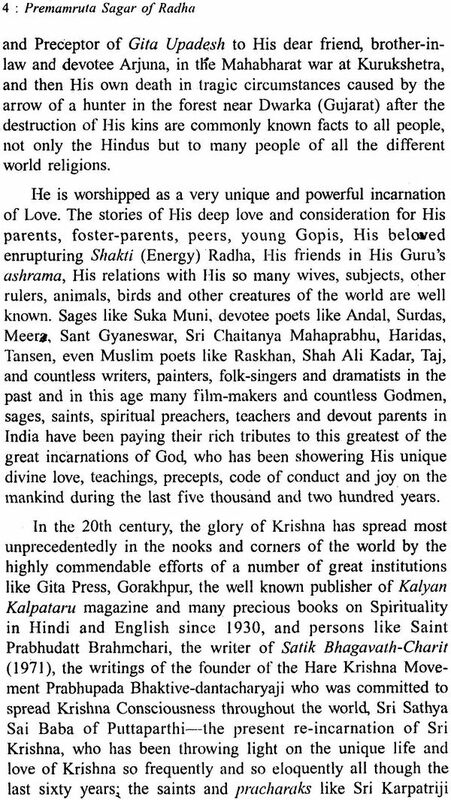 (1997) authored by this world famous Sai devotee Vasantha Sai in which the numerous graces of Bhagavan Sai Sathya Sai on her had been mentioned. This book had been blessed by Sri Sathya Sai Baba putting by His signatures on its manuscript. 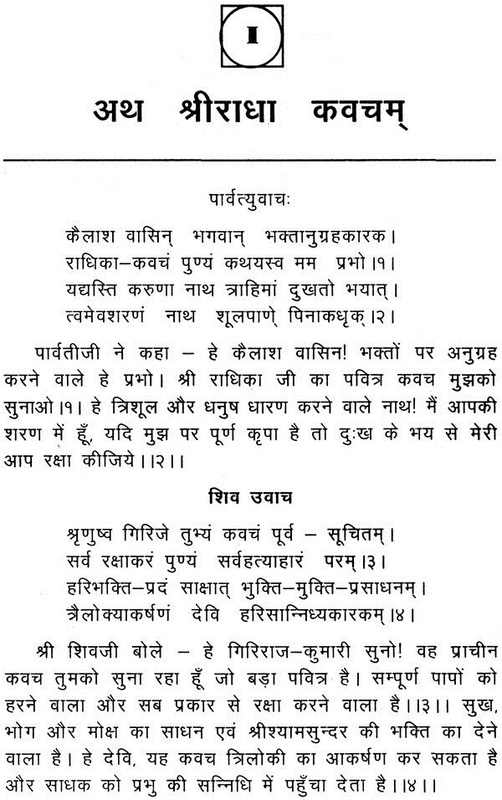 She conveyed to me details of her spiritual life which show that the recent naadi revelations about her are correct. Since I personally know Dr. A. Karuna Karan, Agasthar Nadi Astrologer, T. Nagar, Chennai, and Sri M.R., Raghunathan, Dr. Karunakaran's friend, for some years, I fully believe in the genuineness of the recent revelation that Mrs. Vasantha Sai is in fact the present reincarnation of Sri Radha. 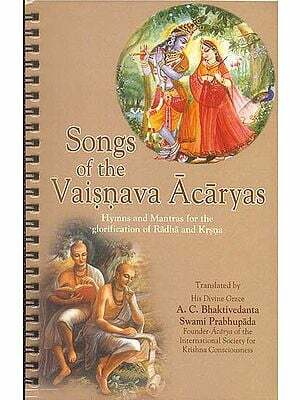 The purpose of this book is to focus on the Madhura bhava Bhakti of Lord Sri Krishna's beloved Radha, which tradition has since then been continuing with rigour and genuineness as remarkably now examplified by Radha, Meera, Andala, Chaitanya and Vasantha Sai. 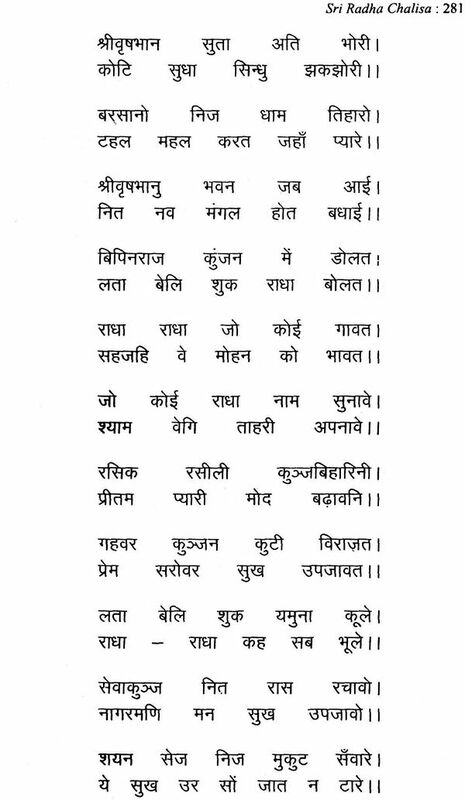 All these immortal apostles of Madhura Bhakti bhava are described in this book. I hope readers will find this compilation yery interesting and helpful in their devotion and spiritual elevation. This book is most lovingly and reverentially dedicated to the Lotus Feet of Bhagavan Sri Sathya Sai Baba. 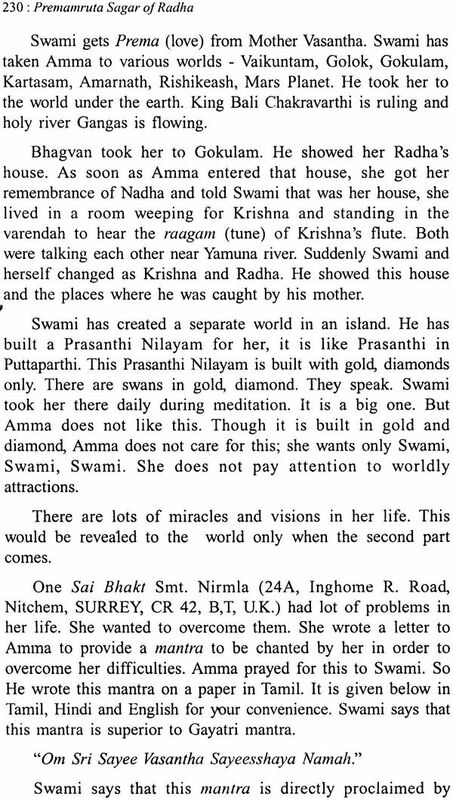 He had told Vasantha Amma in one of her meditation sessions in 1999 that 1 should compile this book and He had Himself suggested the title 'Premamruta Sagar of Radha' (Ocean of Radha's Love Nectar), for it. Grateful thanks are due to all those authors and publishers concerned whose materials have been incorporated in this book. My special thanks are due to Mother Vasantha Sai and her devotees Sri C. Krishna Moorthy, Sri K.S. Venkaturaman and Miss Veronice Teresa Klein from Argentina. 11 Who is Sri Radha? weight of book 405 gms. ONE OF THE MOST BEAUTIFUL PICTURES I HAVE SEEN.SO SONA!!!!!! !